One hundred years after the establishment of Stamford, a group of residents petitioned the Town for a grant of land for an Anglican Church. There had been Anglicans in Stamford as early as 1705, but they had no church building and no settled clergy. In 1742 the Town gave the Anglicans a lot near the corner of present-day Main and Grove Streets where the first St. John’s Church was built.Stamford’s Anglicans paid for Mr. Ebeneezer Dibblee to go to England to be ordained. They also bought some land near the Mill River for a glebe. 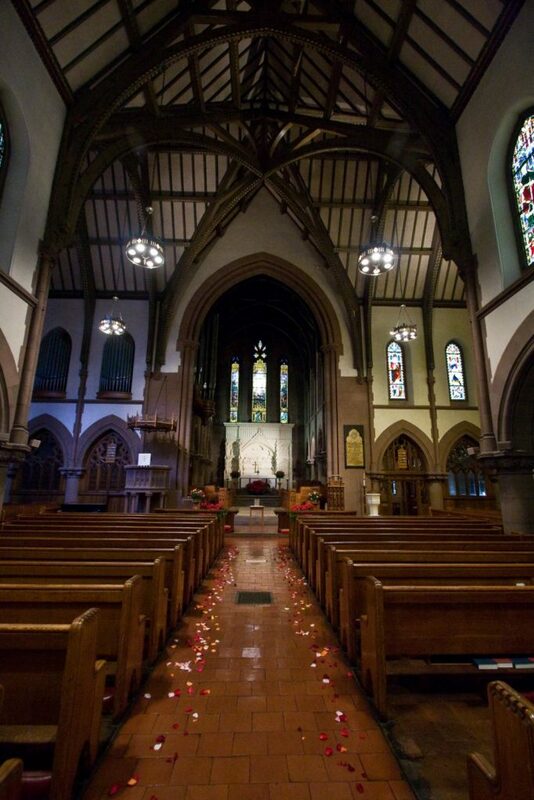 The glebe was increased in 1765 by the gift of St. George Talbot, a wealthy New York Anglican. Mr. Dibblee began his ministry in Stamford in 1748 and served as rector for fifty-one years. 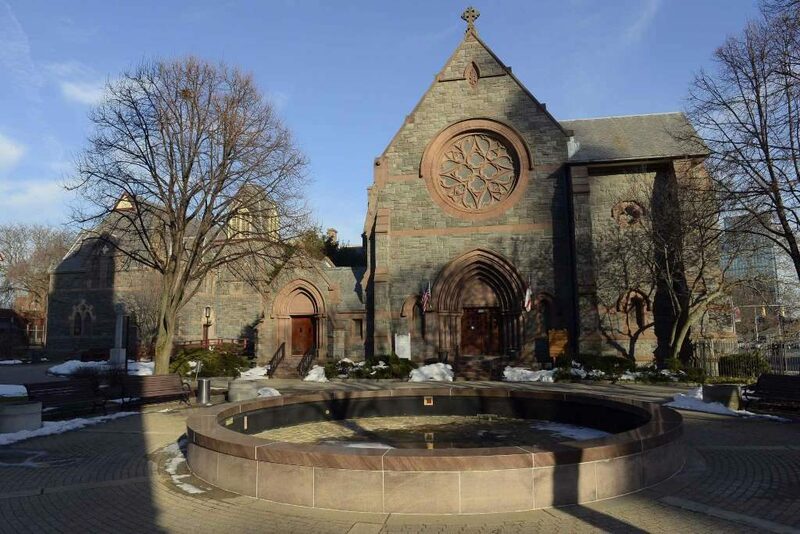 Originally the parish included all of Stamford, Greenwich, Darien and New Canaan. Until the American Revolution, Mr. Dibblee was a missionary for the Society for the Propagation of the Gospel in Foreign Parts. Many Anglicans remained loyal to the Crown during the Revolution and many Stamford Anglicans emigrated to Canada. Mr. Dibblee stayed in Stamford and held services in parishioners’ homes during the war. The second St. John’s church was built in 1842 just to the west of the first church, facing Main Street where the fountain is today. During the rectorship of the Rev. Mr. Ambrose Seymour Todd St. John’s Parish began to respond to Stamford’s growth. 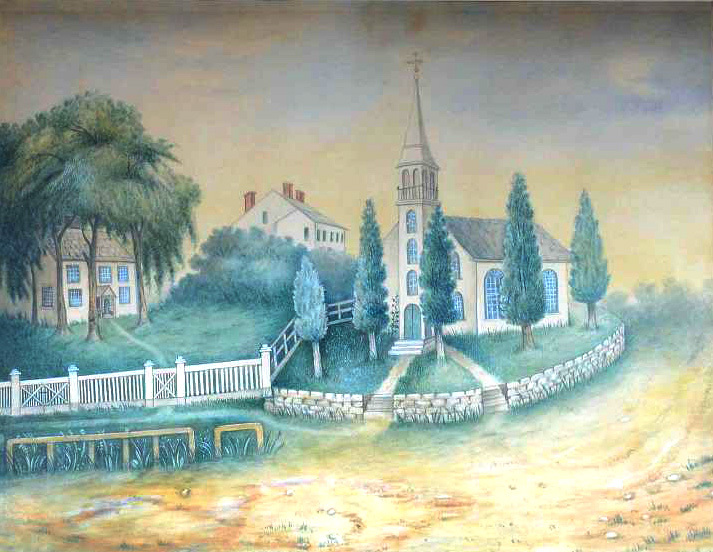 In 1859 the parish established the Missionary and Benevolent Society, which found St. Andrew’s Chapel. St. Andrew’s became an independent parish in 1865. The Society’s second mission was in Springdale where Emmanuel Chapel was built in 1867. Emmanuel remained a mission until 1947. In 1879, St. John’s rector, the Rev. Dr. William Tatlock, began holding services in homes in Stamford’s South End. St. Luke’s Chapel was built there ten years later. In 1867 the Parish acquired the two acres adjacent to the church site. The parish building was built in 1871, and the rectory was completed in 1885. Planning had begun for a new church building when the church was destroyed by fire on January 24, 1890. Construction on a new church began in May and the first services were held in the new church in November 1891. Throughout the 19th century St. John’s responded to the problems of industrialization, immigration and urbani- zation in Stamford. The church was used by immigrant groups for services in Swedish and German. In 1882 St. John’s Church House, Stamford’s first hospital, was established. The Church House, located in the South End, accepted patients without regard to their religion or ability to pay. In 1898, the Ferguson Memorial Building was built for the Church House next to St. Luke’s Chapel. St. John’s continued its evolving outreach to the community in the 20th century. In response to gasoline rationing during World War II, the Rev. Canon Stanley Hemsley began to hold services in the Old Long Ridge area of Stamford. In 1945 St. Francis Parish was formally established there. Some uses of St. John’s buildings have changed from time to time to meet the needs of the church and the community. After Stamford Hospital opened in 1896, St. John’s hospital closed. The Church House building has been used for religious and social services under various organizational structures. In 1986 the Parish leased the building to St. Luke’s Community Services, an independent non-sectarian human services agency. St. John’s buildings have also been enlarged and altered as the Church’s programs have changed. In 1903, the parish building was modified to add a gymnasium and reading room for the Church’s work with young people. A tower and eleven-bell chime were added in 1917. A building connecting the parish building and the rectory was constructed in 1954. It includes a kitchen, dining room, and Sunday School rooms. The rectory, now called Hemsley House, is used for church offices. 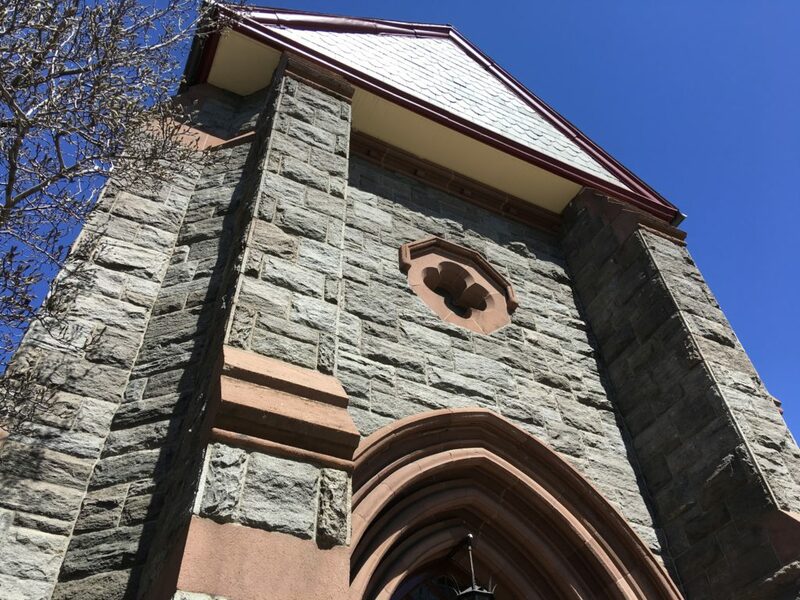 In the 20th century the Parish sold the last of its 18th century glebe, except for the cemetery on Franklin Street, and has continued to enlarge the church site. By 1975, the church owned its entire block. That year the Parish decided that St. John’s should remain in its downtown location. Under the guidance of the Rev. Mr. Douglas Theuner, the Parish leased two acres of its three-acre site for a mixed-use development of offices, apartments and shops. At that time, the Parish established the St. John’s Community Foundation to receive some of the income from the rental of the Parish land to Canterbury Green. The Foundation provides grants to agencies for projects that address broad social issues in Stamford. 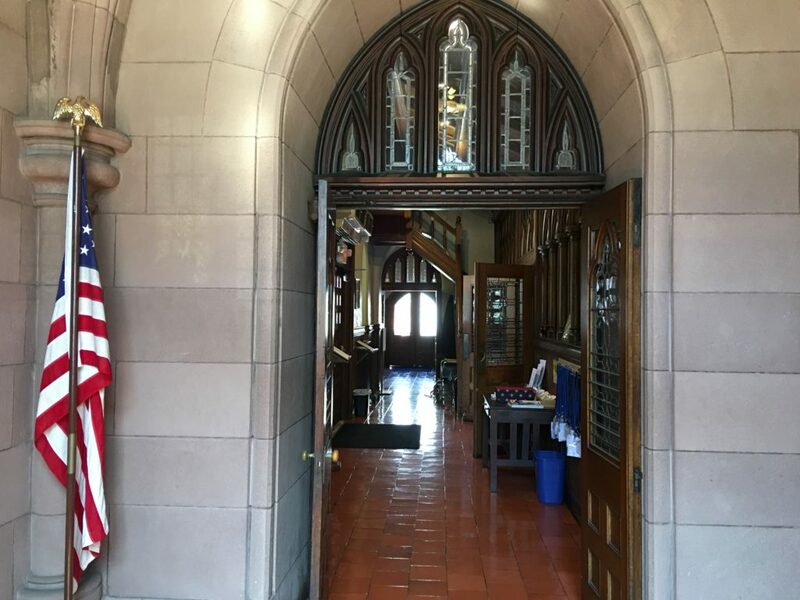 As St. John’s enters the 21st century, the Parish is continuing its tradition of outreach to the Stamford community. In 1991 the Rev. Dr. Leander Harding invited Father Jean-Elie Millien to conduct services in French at St. John’s for Stamford’s Haitian community. L’Eglise de l’Epiphanie is now a separate congregation sharing St. John’s buildings. In 1993 St. John’s Parish held its first Christmas Tree Lighting and Show. A dramatic and beautiful presentation of the Christmas story is now an annual gift from the Parish to the community.